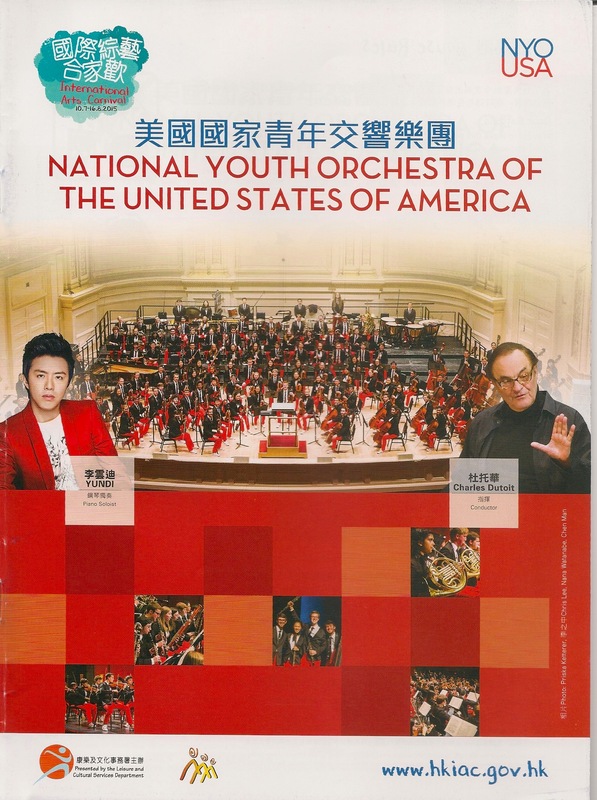 Kids at their finest: The National Youth Orchestra of the United States of America. Charles Dutoit conductor, Yundi Li, pianist. Review on Live Performance Page. I remember the date “7/9/2012”. That was the last time I seen Li Yundi. He played Tchaikovsky. I put down my hands on that night after his play. Thanks for your comment. That was a pretty horrible concert and is one reason he isn’t scheduled back for another performance with HK Phil. Still is is good to know that he seems to be back on the right track and perhaps his talent will continue to grow.